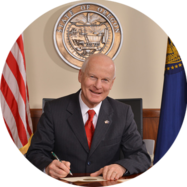 Please join Secretary of State Dennis Richardson and the State Audits team on Wednesday, July 18, for an Education Town Hall. The purpose of this town hall is to present information about the education audits performed by the Audits Division and provide an opportunity for the public to ask questions. Those who will most appreciate this town hall are parents, educators, administrators, government education officials, and anyone concerned with Oregon’s education system. Secretary Richardson, Audits Director Kip Memmott, and state auditors who worked on these audits will be in attendance.